Ever Heard Of The Living Bridge? 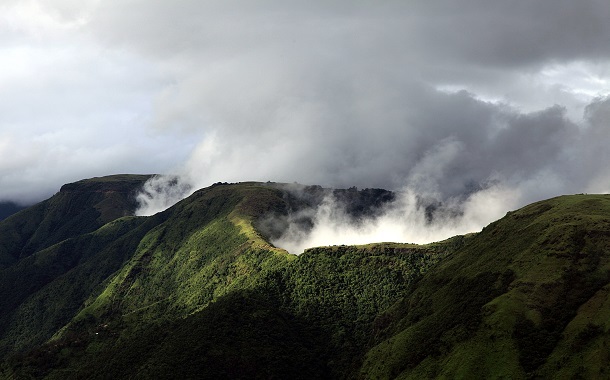 I’m about to give you reasons to set off to Meghalaya. I’m going to compel your heart to book flight tickets to this place you would never want to return from. Do you know how soothing and overwhelming it is to ride through the clouds? Oh by the way, the word ‘Meghalaya’ means the abode of clouds. So do not be surprised if the clouds come down to say hi. As you drive through the ghat roads, let your soul feel the connect, let your spirits rejoice. As you explore the forests, halt for a moment. Look around, pay heed to the whispers of nature. If at any point you feel exhausted (which you won’t), come down on your knees, and drink from the brooks. As you conquer new heights, look down, behold the magnificence, embrace the beauty. Pitch tents in the lap of nature, wake up to the first rays of the sun, and feed on the goodness of the morning. Dive in the clear waters, touch the sea bed, cuddle a fish, and float to your heart’s content. As you start on foot, you will pass by the people of Meghalaya, and their warm smiles will melt your heart. You will imbibe from them the art of patience, and the joy of being calm, of not rushing too much. They will teach you how easy it is to let go, and how foolish it is to whine about small things. You will see culture, skill, and love, all at your display, deeply rooted in their lives. Meghalaya is nothing short of stunning. I’m sure you’ll extend your stay; for nobody gets enough of it. Every aspect, be it the nature, the people, the culture, everything will amaze you. Of the many beautiful things Meghalaya stands for, the living bridge is a wonder one must behold. The thought put in by the ancestors in giving the generations a gift they would be grateful for, is noble. 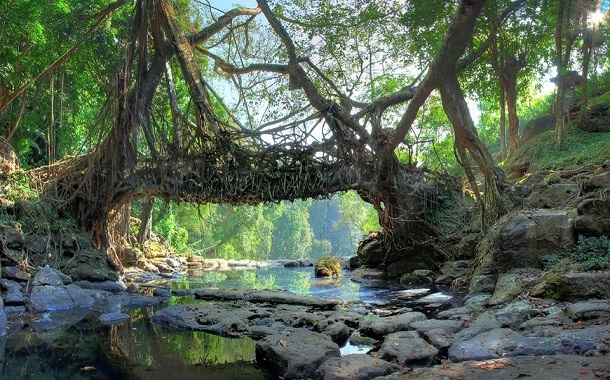 They planted tress in a fashion that as they would grow, their roots would come together building a living bridge. Now that’s a mastermind. One must take a trip to this wonderland at least once, and I’m sure there will be more trips thereafter. For we never get enough of good things.